The National Final will take place at The Athena in Leicester on Friday 14th September 2018. 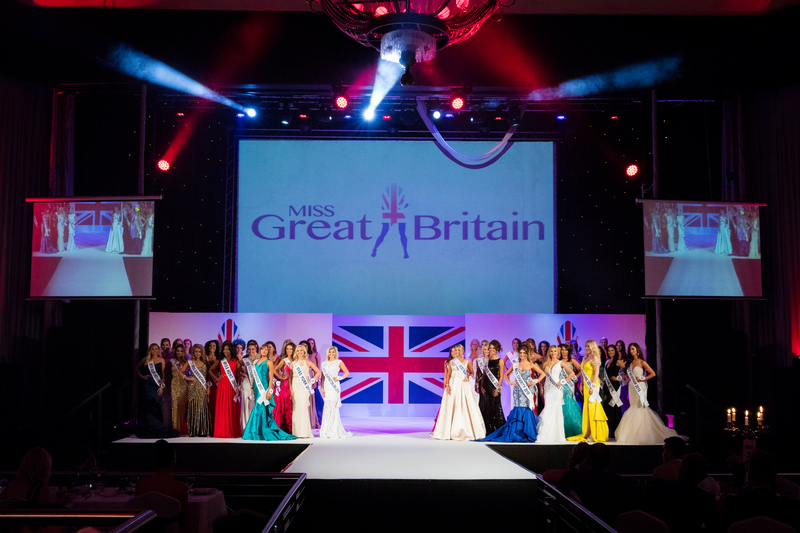 50 ladies from across the UK will come together to compete for the prestigious title of Miss Great Britain. Tickets are sold on a ‘first come first served’ basis and the seating plan is organised by order of purchase, so the sooner you purchase the closer to the front you and your guests will be! Please note all tickets are inclusive of VAT at the current rate of 20%. 2. Or Follow the Eventbrite link below and order tickets via our online vendor (this service includes a booking fee which goes directly to the vendor & not ourselves). Please Note Admission Only Tickets: Admission only seating will be situated either towards the rear of the auditorium or up in the theatre balcony seating, both of which are a substantial distance from the main stage, all dining tickets will be on the main floor with optimum view of the stage. http://www.athenacb.co.uk/ Your guests will only be permitted to enter the lower auditorium/main floor to purchase drinks from the bar, but not to join the table seated guests. NO REFUNDS. Tickets may be transferred to another person supporting the contestant if the person booking is unable to attend for any reason.